After You is the much anticipated, highly necessary, second installment in the Me Before You series, featuring Louisa (Lou), a character readers, myself included, absolutely love. I say “second installment” rather than “final installment,” because I’m hoping that Jojo writes many more stories featuring Louisa. 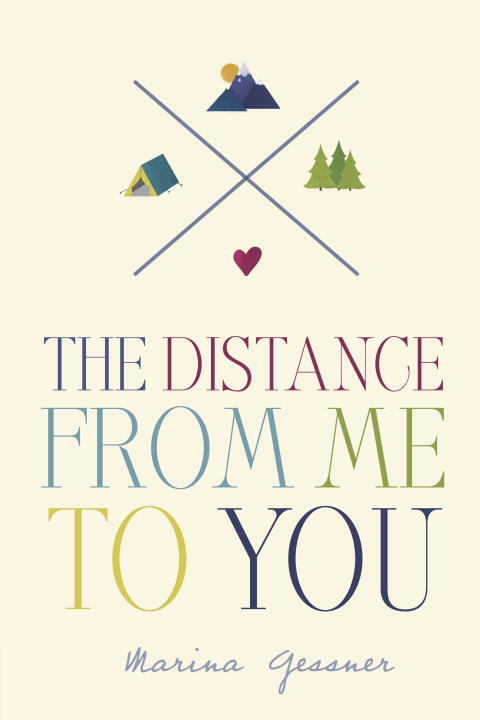 For those of you wanting to read this book, I would highly suggest reading Me Before You first. It is absolutely wonderful, and you won’t be able to put it down until you’ve devoured it like a piece of chocolate lava cake. I enjoyed After You just as much, if not more than Me Before You. Louisa has been traveling around Paris, hoping to experience new things to help counterbalance the grief of losing Will. She then settles down in a London flat, but it doesn’t seem much like a home, lacking any personal items or furniture. She takes a job as a bar maid in the airport, where she works thankless hours on not so fun tasks with no satisfaction or hope of finding something else. Perhaps the worst is the ridiculous outfit and wig she has to wear at work (you’ll have to read it for the specifics!). After an unfortunate accident, Louisa finds herself in the hospital and then in need of help while she recuperates for 9 weeks. She moves back in with her loud, and mostly dysfunctional family until she can no longer handle the monotonous conversations, bickering between her Dad and Mum, and repeated family meals. Back to London she goes for more unhappy days of work and lonely nights in her flat. Then, an unexpected visitor turns up at her doorstep, someone with a connection to her past with Will, and her life becomes much less boring, and much more chaotic in a flash. She joins a grief counseling group against her initial wishes, and becomes rather connected to the motley crew of fellow grieving men and women. Leaving the group one day, she has a pleasant run in with the handsome EMT, Sam, who helped her after the accident months prior. She hadn’t realized at the time how kind and caring he was, and oh so handsome! Lou finds herself not so lonely any longer. When the story ends, we see Lou embarking on a new journey with a fresh outlook and so many people supporting her unselfishly. I only wish I could have a few more chapters to read! The scenes from this book caused me to both laugh out loud and also wipe tears from my face. As a matter of fact, I cried through the last two chapters! Some of the things that come out of Lou’s father’s mouth are just plain hilarious. Also, the grief group has its share of characters who will say anything that comes to mind. Laughter is the best medicine, as they say; and Lou (as well as the reader) is subjected to plenty of humor. Jojo Moyes has a knack for developing characters in such a way that readers do not want to turn the last page, because they will physically miss the characters. I find myself in a depressive sort of state today after finishing the book. I miss Lou, Sam, Lily, Mr. and Mrs. Clark, the Traynors, and even sourpuss Richard from the bar. What a story this was! I absolutely loved it, and I will be most thrilled if Jojo Moyes decides to keep Lou’s story alive for many more installments. 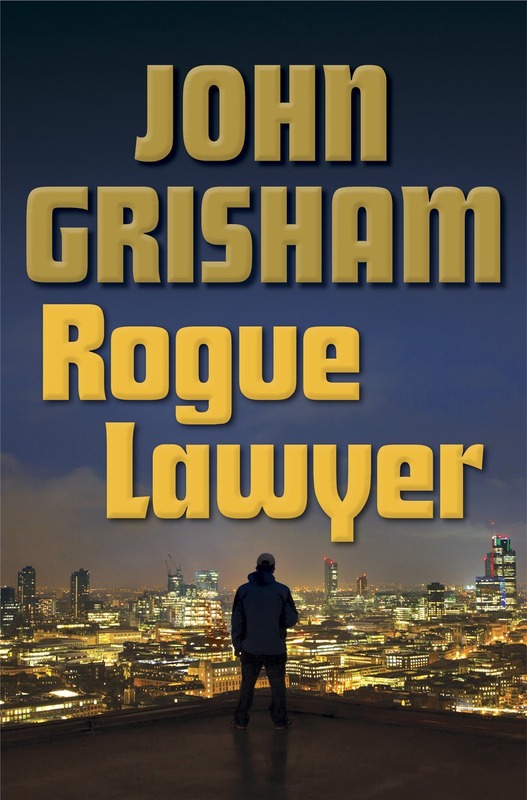 Though I enjoyed the new John Grisham novel very much, it wasn’t one of my favorites from Grisham and not his finest work, in my personal opinion. My favorite was Gray Mountain, which was released last year. This story reminded me quite a bit of Lincoln Lawyer by Michael Connelly. The book doesn’t read like a typical legal narrative suspense thriller. Each section focuses on a different case being handled by the main character, Sebastian Rudd. Rudd takes cases which other lawyers would not dream of handling, and he does a great job for his clients. He’s been thrown in jail, threatened by past clients, and even setup by the police department. He believes everyone is entitled to a fair trial, even if he has to pull some strings or bribe the right people to get one. He works out of a customized bulletproof van, driven by his one and only friend and bodyguard type, named Partner. Partner isn’t a big talker, but he is there for Rudd at all times, supporting him through all the crazy trials and murder threats. Some of the cases that Rudd handles are unbelievable, which make this book hard to put down. Rudd distrusts the government, and despises the corruption within the police department and judicial system. He’s not a very happy character, and his love life, or lack thereof is evidence of this fact. However, during the course of the story, Rudd happens to meet a girl while dealing with some trouble with his young son, a second grader. Along with drinking bourbon and playing pool, Rudd’s favorite past time is watching and betting on cage fighting. Oh, and he doesn’t enjoy it too much; but he spends a lot of time fighting his ex-wife Judith, also a lawyer, who keeps trying to take away his parental rights to their son, Starcher. Rudd sponsors a young, talented cage fighter and serves as his corner in the ring. When the cage fighter snaps after a match and kills the referee, Rudd must defend him. This case could proof to be the toughest case he has dealt with yet, and may be his last. This is a great book for fans of suspense, legal thrillers, or fiction in general. Not too much romance, and not too much language or graphic violence. Just enough to keep things interesting. It’s been much too long since I have been immersed in the Quinn family, with all of their romantic drama and hilarious situations. 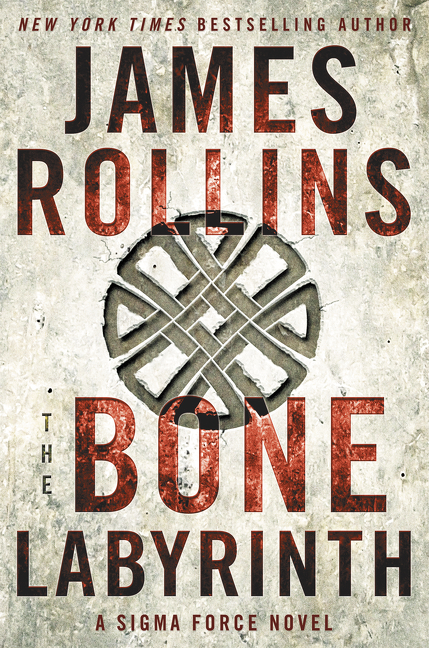 I truly enjoyed this book, but the only problem is that it ended far too soon and with many cliffhangers to boot! 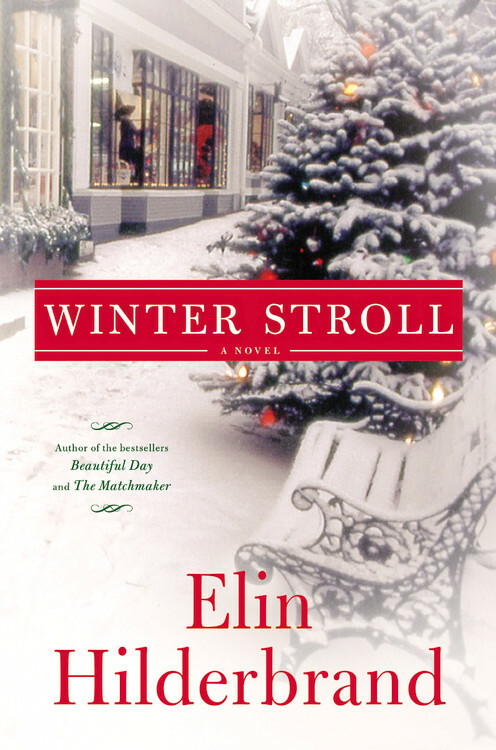 Winter Stroll is the second installment in the Winter Street series, and I do hope Elin Hilderbrand doesn’t leave us hanging without many more books to come. Readers cannot help but fall in love with the characters, despite each of their faults or mistakes. Winter Stroll is an annual weekend in Nantucket in which the street is closed and visitors and residents shop and gather together to celebrate the upcoming holiday season. It also happens to be the weekend of the newest Quinn family member’s baptism, which is cause for a Quinn family celebration. This winter season finds Kelley alone after his second wife, Mitzi left him last winter for the annual Winter Street Inn Santa Claus, George, after a 12 year affair. Kevin, his French girlfriend Isabelle, and their newborn, Genevieve, also live at the Inn with Kelley, where Kevin and Isabelle manage most of the day-to-day affairs. Kelley’s daughter, Ava, an elementary music teacher, also holds residence at the Inn, and she is still dating Scott, the school’s assistant principal. The oldest sibling, Patrick, is serving his time in jail after being charged with insider trading, while his wife Jennifer and three young sons try to keep the home fires burning until he is released in the summer. Jennifer, always the good girl and pleasing everyone, has developed a bad habit of her own as she struggles to deal with the stress. Kelley and Mitzi’s son, Bart, a Marine, is still missing after being captured in Afghanistan last Christmas. The Quinn family, though quite dysfunctional, is loving and resilient. One of the things I love most about them is that they do not hold long grudges, but embrace the current, former, and future family members with love and acceptance. On the weekend of the annual Winter Stroll in Nantucket, quite a few individuals from the Quinn family’s past happen to be in town and cause quite a stir. There’s Nathaniel, Ava’s former heart-throb boyfriend, Norah, Kevin’s estranged ex-wife, and Mitzi, who is having an awful time worrying about her only son Bart, and missing Kelley as well. And to top off the fun, Kelley’s first wife and mother to Patrick, Kevin, and Ava, Margaret, a famed Today show anchor is spending the weekend at the Winter Street Inn with her family, and her new boyfriend, a well-to-do surgeon who has never really minded being without a family until meeting Margaret. As with Winter Street, Winter Stroll has plunged me into the holiday spirit longing for cozy nights beside the Christmas tree with its twinkling lights. The story is pure enjoyment, with lighthearted moments, love triangles galore, jealousy, rekindled romances, forgiveness, longing, and perhaps most important of all, hope for the future. A beautiful story through and through. First, let me show you the cover of this book. It’s simple, but it sums up the book in a nutshell. I really love the cover, and the book is pretty great too. Read below to find out why. I would classify this as part romantic fiction, part survival fiction. The book is intended for young adults, but adults would enjoy it just as much. McKenna has just graduated from high school and has big plans for the near future. While the majority of her classmates and boyfriend are headed off to start at college, she and her best friend have deferred a semester in order to hike the Appalachian Trail. They have studied and read about the AT, purchased all the required gear, and hiked many miles in preparation. The Appalachian Trail runs from Maine to Georgia, some 2,000 miles, which McKenna plans to hike in about two months time. A few days before their departure, McKenna’s best friend bails out on her for a guy. McKenna makes the decision to hike the trail alone, asking her friend to cover for her and pretend to be along on the trip so her parents won’t know. McKenna is a strong-willed, determined character, and it’s apparent from the beginning of the book that she is fully capable of completing the challenge she has set for herself. While on the trail, McKenna crosses paths with Sam, a good looking guy who becomes more intriguing each time they cross paths. While McKenna grew up in a household with loving parents who provided for her every whim, Sam didn’t have such luck. He took off for the trail in order to escape an abusive, alcoholic father. His only other living relative is a brother who he hasn’t seen in years. No one has reported Sam missing, even though he has been out on the trail alone for months. Sam doesn’t have much to look forward to or much of a purpose until he meets McKenna. The story takes a sharp turn when Sam and McKenna decide to go against all the warnings and go off trail to camp one day. This split decision leads to very dangerous, uncharted territory, which neither Sam or McKenna has ever been before. Will they survive and find their way back to the Appalachian Trail, and back to each other? I really appreciated the way the author didn’t focus too much on the romantic relationship between Sam and McKenna, but instead on their individual character traits, in order to show their bravery and resilience. I loved the way the book ended, even though it didn’t end the way I pictured or hoped it would. Not every story has a happy ending with the lovers in an embrace. And that sort of ending just wouldn’t fit this book. Also, I learned quite a bit about the Appalachian Trail, and enjoyed learning about “trail magic,” which is the kindness of strangers throughout portions of the trail. It was also neat the way the author described nature on the AT, especially the birds which Sam and McKenna liked to identify by their calls. Overall, a very neat book. I would suggest it for teenagers and adults.